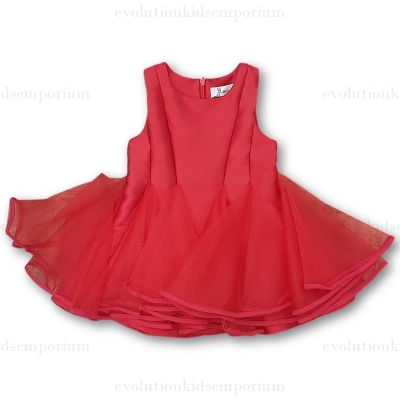 Girls very pretty red sleeveless dress by Doe a Dear made from a soft satin and tulle. The top half is made from a silky satin and a skirt made from tiers of tulle with a handkerchief style hem. In an A-line style, this lovely dress is fully lined, with added tulle hem giving it a full, flared shape. The perfect holiday dress.